MovementWise is a private physical therapy practice, on the north side of Chicago that specializes in painless healing and restoration of function for a wide variety of physical problems. As a physical therapist since 1981, Christine Inserra has been using traditional and holistic therapeutic techniques to help her patients. 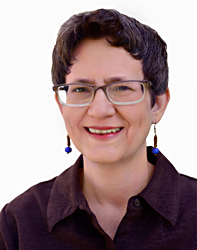 She uses a wide variety of techniques such as Positional Release, Traditional Physical Therapy, Russian Neuromuscular Massage (Kuroshova Tissue Re-education), Cranio-Sacral work, the Feldenkrais Method® and the Alexander Technique. Her goal is to eliminate pain, retrain normal function and teach patients how to prevent return of their problem. Singers, actors and musicians are also helped to improve the quality of their art as well as heal from repetitive strain injuries. Christine is a preferred physical therapy provider with a number of health insurance carriers (see link for list of insurance carriers). From an hour lecture/demonstration to a weekend workshop, Christine enjoys and is available to work with groups either locally or throughout the United States.